A tiny island rich in culture and history is also rich in biodiversity, with a range of species inhabiting a vast myriad of habitats and ecosystems. 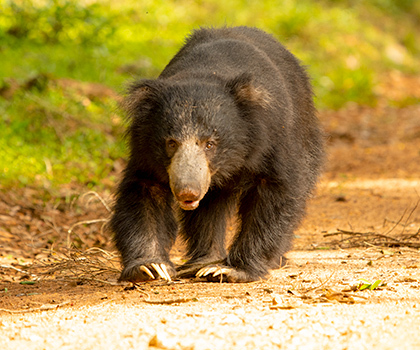 From large Asian elephants, stealthy leopards, comical sloth bears to a range of butterflies and dragonflies the islands forests are littered with life. Named on of the most important biologically important hotspots in the world, due to its high percentage if endemism which is over 75%. 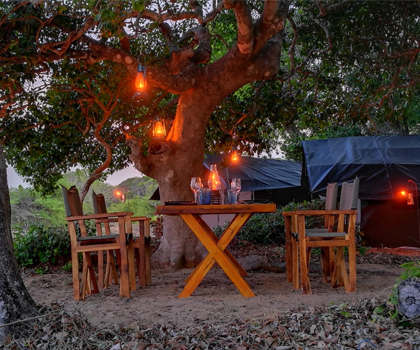 You can join our team in exploring these wild jewels, where you track leopards in Yala and Wilpattu National park, spend time with majestic Asian elephants, count down as you try and spot our 33 endemic birds’ species in the jungles of Sinharaja and Horton Plains National park. The largest living species on earth - Whales are creatures of the open ocean; they feed, mate, give birth, suckle and raise their young at sea. So extreme is their adaptation to life underwater that they are unable to survive on land. 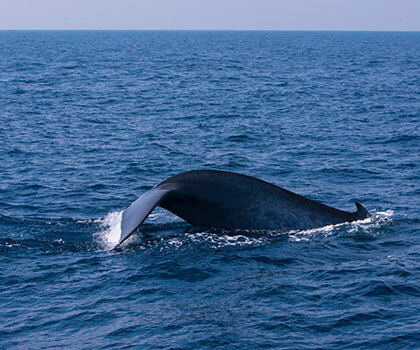 Whales in the waters surrounding Sri Lanka range in size from the 2.6 metres (8.5 ft) and 135 kilograms (298 lb) dwarf sperm whale to the 34 metres (112 ft) and 190 metric tons (210 short tons) blue whale, which is the largest creature that has ever lived. The sperm whale is the largest toothed predator on earth. Apart from the western province, all the jungles of the tiny island nation are home to the Sri Lankan sub species of Leopard. They range from the dry zone shrub jungles to the mountain plains of the central high lands and in the arid zones of the north as well. These highly adaptable cats have a vast diet of prey animals hence being able to live through the country’s jungles. Out of the parks block one of Yala National park is said to be home to highest density of Leopards in the world. The most sought-after animal that roams the tropical jungles of the island is the Asian elephant. Once they roamed the jungles throughout the island, however they are no restricted to a few jungle patches mostly in the dry zone. 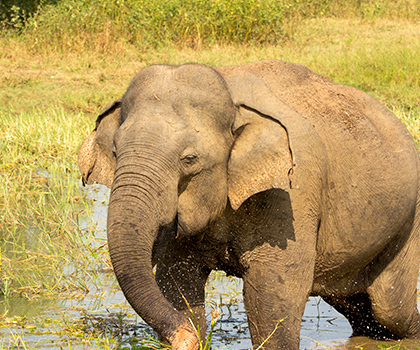 The dry zone parks such as Udawalawe, Minneriya, kawudulla and kalawewa are good places to see elephants, with Udawalawe known for its elephant sightings through out the year. During the height of the dry season in Minneriya National park a gathering of elephants occur which ranges in the hundreds, where the elephants congregate to eat the sweet grass that appears on the banks of the Minneriya reservoir. Apart from the western province, all the jungles of the tiny island nation are home to the Sri Lankan sub species of Leopard. They range from the dry zone shrub jungles to the mountain plains of the central highlands and in the arid zones of the north as well. These highly adaptable cats have a vast diet of prey animals hence being able to live through the country’s jungles. 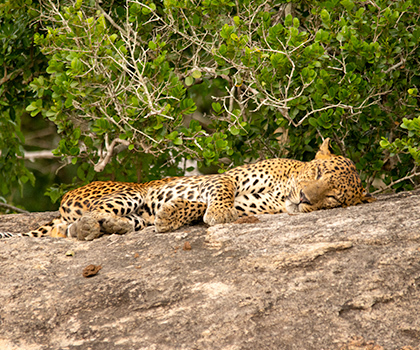 Out of the parks block one of Yala National park is said to be home to highest density of Leopards in the world. 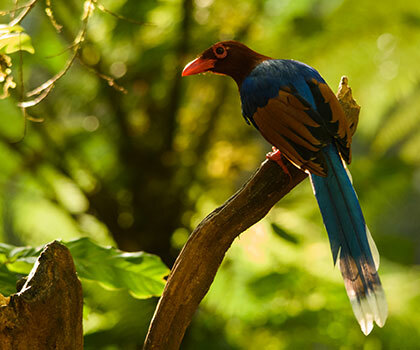 Sri Lanka to a wildlife lover is a paradise of birds and mammals. However unknown to most the island is a haven for reptiles and amphibians making it a perfect place for the experience and budding herpetologist. The island is home to over a hundred species of snakes, out of which 5 are deadly poisonous and around 50 are endemic. 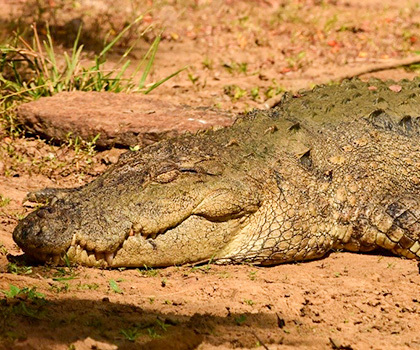 Around 100 species of lizard also call this paradise island home, together with 2 species of crocodile, 2 species of monitor lizards and a host of sea and freshwater turtles. Lurking among all these reptiles is also a wide variety of amphibians, which mostly include frogs. Over 100 species of amphibian call the country home out of which over 90 species are endemic. Sri Lanka has over an 80% endemism level among Amphibians making it a special place for these small animals. Currently there are 33 identified species of endemic birds in Sri Lanka, out of which most are found in the wet zone. The months of November through to April are considered the best months of the year to spot most of these endemics. The Kithulgala and Sinharaja forest reserves in the lowlands are amongst the top spots to view a majority of these endemics. 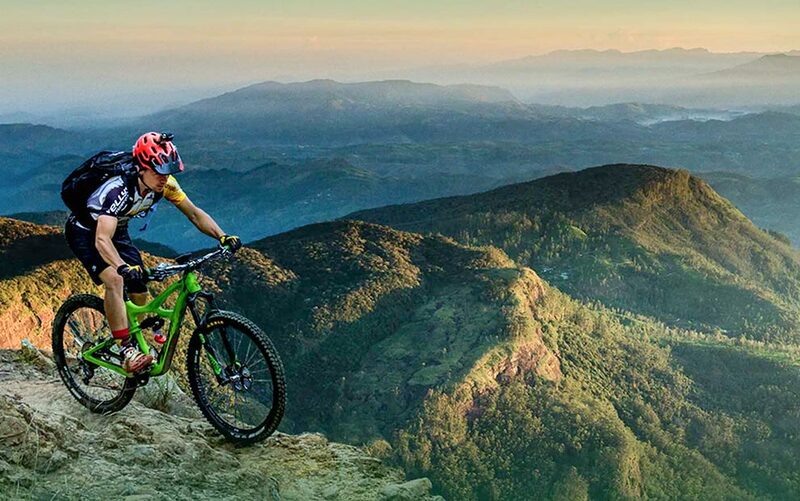 Horton Plains National Park in the hills is the best place to catch the endemics that enjoy their life at altitude.